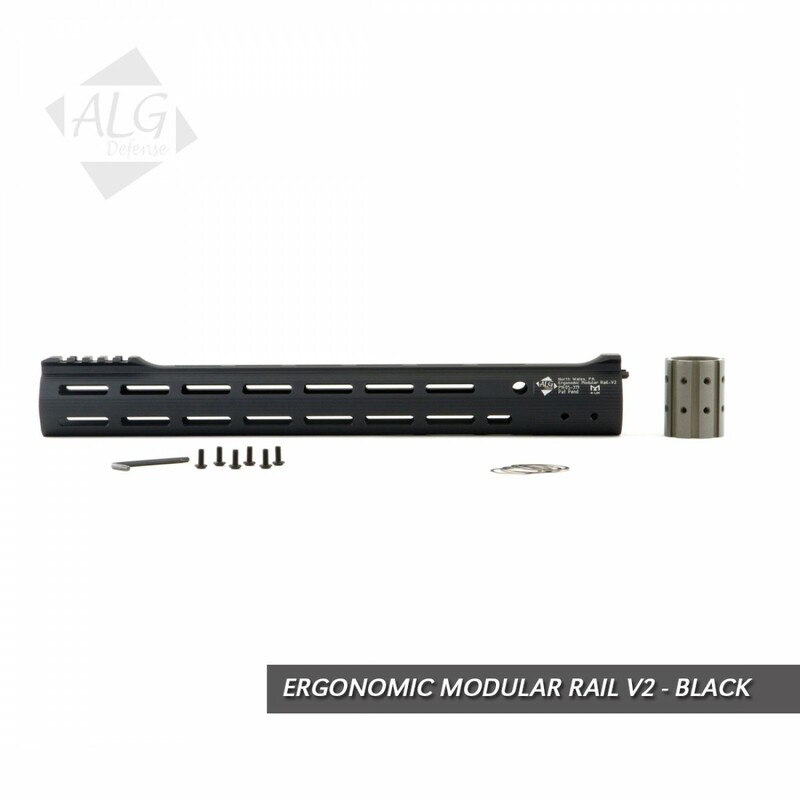 The Ergonomic Modular Rail V2 with Magpul M-LOK support, allows the user to mount an array of third party accessories and customize their weapon platform to suit their needs. M-LOK accessories can be attached along the length of the rail at 2, 4, 6, 8 and 10 o’clock positions. The EMR V2 M-LOK also features two integrated anti-rotational QD slots at the base of the rail at the 2 and 10 o’clock positions. 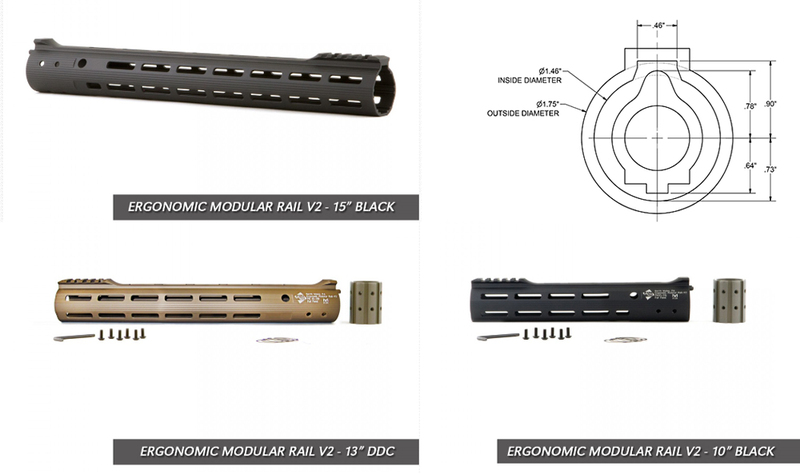 Note: EMR M-LOK rails DO NOT include any M-LOK accessory rails, M-LOK accessory rails must be purchased separately and can be found here on our website. When comparing an ALG total rail weight to a rail that uses a stock barrel nut, make sure to add the weight of the stock barrel nut to the total weight of the non-ALG rail you are comparing for an accurate comparison. Note: CROSS SECTION DIAGRAM is not the actual cross section of the EMR Rail. This is a simplified representation to understand the internal dimensions and their relationship to a sample gas block. Drawing may not be to scale. Note: IF THIS IS YOUR FIRST TIME PURCHASING AN ALG DEFENSE RAIL, YOU WILL NEED TO PURCHASE A BARREL NUT WRENCH IN ORDER TO PROPERLY INSTALL THE RAIL.